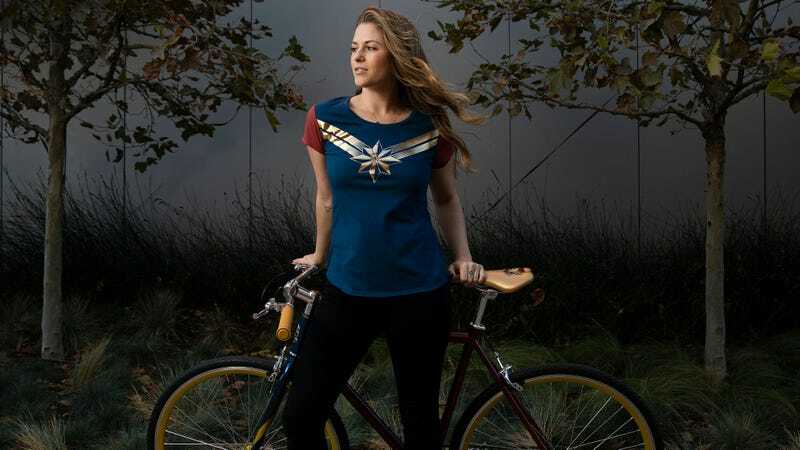 This Disney Store Captain Marvel shirt is just one of the cool new pieces of merch announced...wait, is that a Captain Marvel BICYCLE? A big superhero movie having merchandise isn’t news. Every movie gets t-shirts and Funko pops and all that stuff. 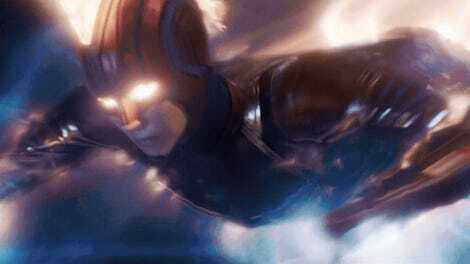 But, for Captain Marvel, Marvel’s first superhero film with a woman in the lead, the studio is going above and beyond. There’s jewelry, there’s a bicycle, there are amazing jackets, and it’s all so gorgeous, it may just bring a tear to your eye. At any rate, it’ll definitely make fans reach for their wallets. The official Marvel website shared all of these images and we won’t post them all, but here are just a few of the highlights of this awesomeness. A Captain Marvel dress by Her Universe. A Captain Marvel watch by Invicta. A Captain Marvel jacket by Her Universe. A Captain Marvel bomber jacket by Disney Store. A Captain Marvel backpack by Disney Store. A Captain Marvel bicycle by Schwinn. A Captain Marvel hat by New Era. And again, that’s just a little bit. There are toys, Lego, Funko, and way more apparel. It’s a truly impressive line up for what we hope is a truly impressive movie. It’s especially impressive when you remember back to just a few years ago, when Disney all but forgot the lead character of another big, blockbuster movie, Rey, in that film’s merchandising. Maybe, just maybe, things are actually changing. See more merch at these two links. Captain Marvel opens March 8. Check the sites of the appropriate brands for more info on the merch.